Days 194, 195 and 196 – I’ve got a new wireless! As you can see from the above, I’m now the proud owner of a Kenwood TS-590S. I spoke to the insurance company on Thursday morning and we went through the details of my claim. Only one item was questioned as they’d managed to find the same model laser printer I’d listed at £40 cheaper than the price I’d quoted and so apart from that slight reduction the whole claim has been settled in full. Obviously this meant that I wanted to get a radio sorted as quickly as possible so I took Friday afternoon off and picked up the TS-590S on my way home. I’d previously only used a 590 for a few minutes so I made sure I had a good play with it before I made the decision and I’m very pleased to say that I worked out how to use it quickly, it all seems very intuitive and the performance seems superb. Time will tell but my initial impressions are very good. On day #194 I first worked G7HJK, Richard on 10m FM. I wanted to check my 10m aerial and Richard was kind enough to give me a quick shout. It’s also rare to hear Richard on the wireless so it was nice to get him into my logbook in 2011. Later in the evening I worked G8HBS, Peter and then G0BJX, Barry on 40m. I had just one QSO on day #195, I spoke to Rolf, DK0MH on 40m. Day #196 was the day I picked up my new wireless so I had a few QSOs while getting the hang of it, I first worked DL0YLD and DL0YLC on 40m before switching to 6m and working IZ6FXP, Alberto, IZ8EQF, Francisco and I0WDX, Cesare. Francisco is currently my best DX on 6m using my homebrew indoor dipole at 1814km. I then spoke to Chano, EA8UP on 17m. The internal ATU of the TS-590S will quite happily match my 40m horizontal delta loop on both 12m and 17m so I’m looking forward to using those bands a bit more in the future. After that I worked IK2YHL, Mark on 20m and finally for the day I had a quick chat with 9A9SF, Sanjin on 15m. So I’m now in a position to rebuild my shack and computer equipment. There are rumours of new Mac Minis and Mac Pros due to be released in the next few weeks so I’ll be holding on for a while before I get those but I’ve got a bunch of other radio related bits on order, new rotator, SWR meter, microHAM interface and a Heil cable to name but a few. This whole incident has been an experience I’d not wish on anyone but the insurance have done a really good job for me and the end result can’t have been better. 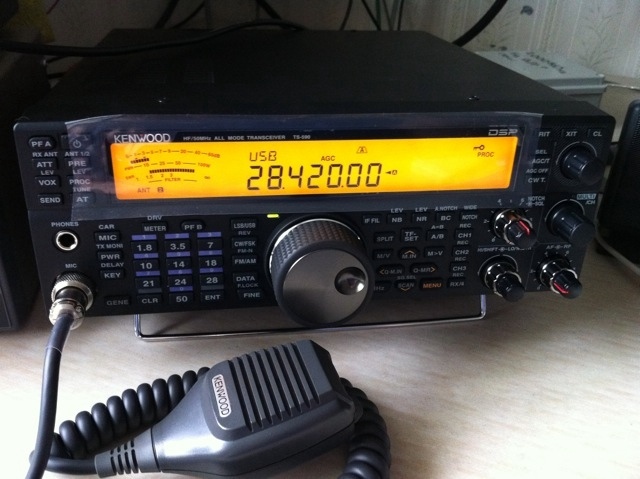 This entry was posted in Amateur radio, FM, HF, QSO365, SSB and tagged QSO365. Bookmark the permalink.